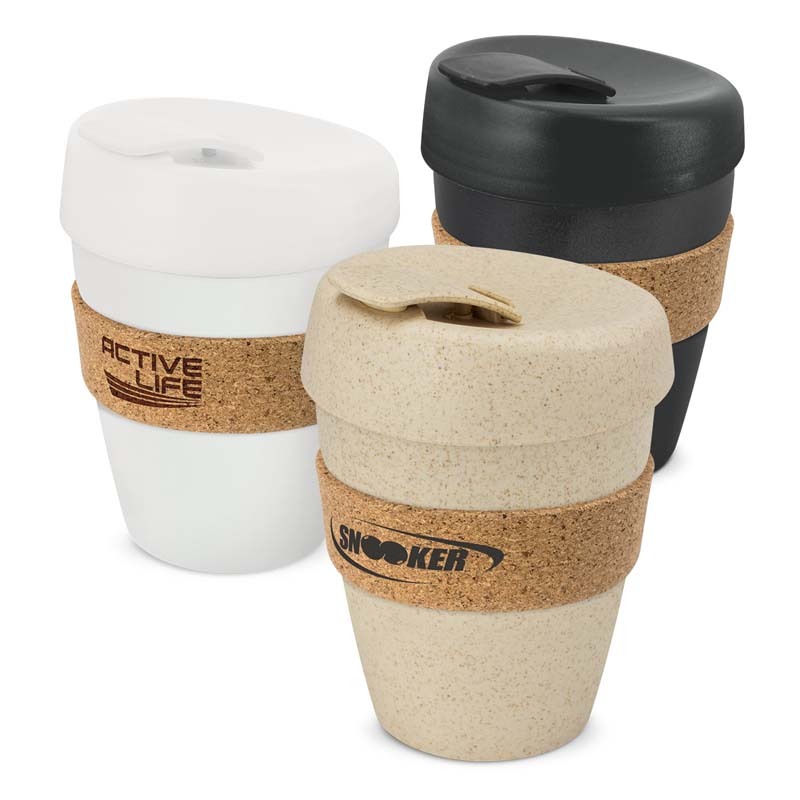 Design inspired 350ml reusable coffee cup with a trendy heat resistant cork band and a secure screw on lid with a splash proof flip closure. The cups illustrated are examples of colour combinations. The cup, lid and flip closure can be mixed and matched in any colour combination from the standard Express Cup Deluxe parts at no extra cost. It can be presented in an optional black gift box for an additional 50 cents per unit (without branding on box). Pad Print: Band - 40mm x 15mm. Laser Engraving: Band - 30mm x 15mm. Colours Cup/Lid/Flip Piece: Natural, Grey, White, Yellow, Orange, Pink, Red, Bright Green, Dark Green, Teal, Light Blue, Dark Blue, Navy, Purple, Black. Band: Natural.